Honor teased a new smartphone with a hole in the display for mid-January early this month, but it looks like the Chinese company didn't want to wait one more month for the big reveal. The Honor View 20 has been officially unveiled in China, but it will be introduced globally on January 22 in Paris, France. Apparently, Honor's new device is the world's first smartphone to use nanolithography to create an invisible nanotexture on the back side. Many of you aren't probably aware that nanolithography is the science of etching, writing or printing in order to modify a material surface with structures under 100nm. The reasoning behind adopting such a design for the phone's back cover is to offer a beautiful skin that lives longer. Also, Honor View 20 adopts the hole in display camera design to maximize the viewing area of the display. According to Honor, the View 20 is the first smartphone to include a FullView display 3.0 and an exceptional 91.8% body-to-screen ratio. 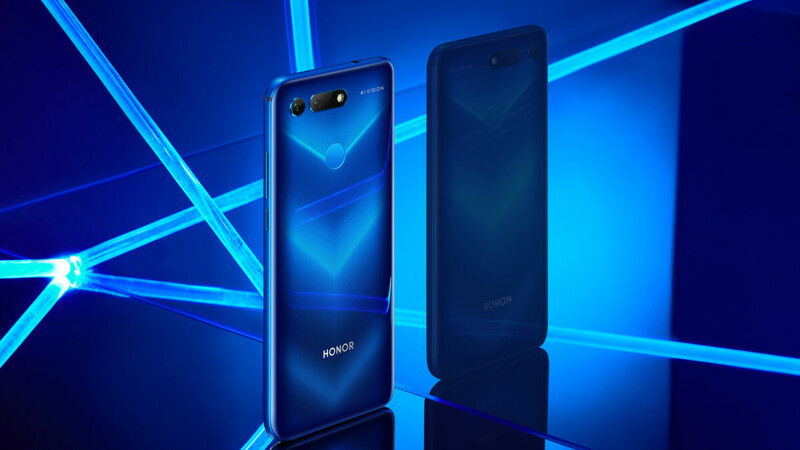 The Honor View 20 boasts a 48-megapixel rear camera and a 25-megapixel selfie camera integrated into the display. At the core of the rear camera, there's a Sony IMX586 stacked CMOS image sensor, which features 48 effective megapixels on a 1/2-inch sensor. That should provide users to richer details and more vibrant colors in the AI-optimized shots taken with the phone. The flagship is equipped with a top-tier Kirin 980 chipset, coupled with either 6GB or 8GB RAM and 128GB or 256GB internal memory. Moreover, the phone sports a 6.4-inch display with FHD+ (1080 x 2310 pixels) resolution and a generous 4,000 mAh battery. 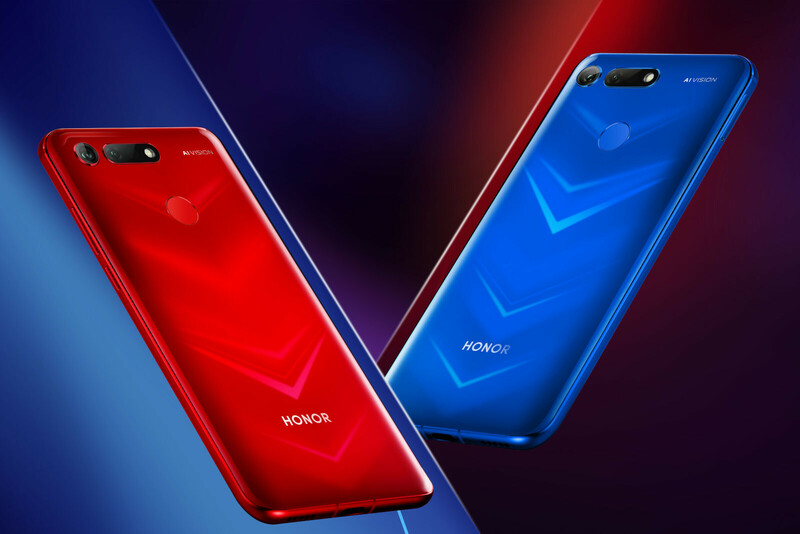 Although Honor announced the View 20 will be available for purchase in China from December 28 for $435 (6/128GB) and $510 (8/128GB), respectively, prices will be higher in other countries. Last but not least, the Moschino version that packs 8GB RAM and 256GB storage will sell for approximately $580 in China. Doesn't look as nice on real photos from gsmarena. Seen the photos, the back looks great, has allot of potential in terms of design. The fact you don't understand it doesn't mean it doesn't make any sense. Wow. I'm sorry your brain can't comprehend these things. I'm referring to the use of nanolithography on the back for writing /etching on the surface. It has the potential to elevate the design of the smartphone beyond its structure due to the unique nature of the process and the potential to etch anything onto that surface. It's like adding art to your phone. There's many possibilities and potential there. Ohhhh so that's what you meant. Now it makes sense! Nice! Huawei has really been putting out some great smartphones, whether it's from them or through their Honor sub-brand. Nice upgrade to the Honor View 10. Agree They would have been my next choice for go to if Samsung ever stops tje note line. Huawei and Samsung have been putting out the most feature rich smartphones IMO, especially with their respective skins / launchers. They are top of the line. It's odd but I can't seem to connect to the hauwei brand, but I love their honor brand. Not odd at all. Just that Huawei isn't as good as some people think. Says the troll that haven't used a Huawei phone in 4 years. I'm glad someone else sees what he's doing and knows who he really is. Or are you just giddy that someone is as misguided as you are? Lol, feelings are so hurt right now that yet another person knows who you really are and what you’re doing. I have no beef with you maherk if you are referring to me. He clearly responded to you. They are much better than you say, especially since you haven't used a Huawei made smartphone since the Nexus 6P, Mxyzptlk. It's been a year since then and you are STILL hung up on that conjecture/false narrative. Let it go. It’s been a year and you’re STILL sticking to that lie that you’re not mxyzptlk. At least your consistent, lol. They are essentially the same brand to me being that Honor uses Huawei's R&D and tech for their smartphones. Honor View 20 looking so good!! Looks gaudy/overly flashy (sort of like a gaming laptop) but I suppose there's a market for that. corners should be less rounded, and the rest is good...back panel is great with that V color shift. I had no idea that people - Bought phones for their "omg amazing" back designs - will pay a premium price for their phones but not even put a case on, and therefor cover said back design. Cases are for children that can't take care of their phones.